Cihuapilli Rose Amador and Sundust Martinez interviews Xochiqetza Trinidad (Aztec/Mexica) and Adam Araiza (Mexica) on Native Voice TV. Trinidad and Araiza are youth, ages 10 and 11, respectively. They are now 19 and 20 years of age. Trinidad is a dancer and poet. Araiza a music performer, ‘Wrapper‘ and his stage name, ‘MG Underdog’. Trinidad recites one of her poems inspired to honor her culture and people. MG Underdog performs three songs, ‘It’s a Family Thing’, ‘Money‘ and ‘Thank you‘. 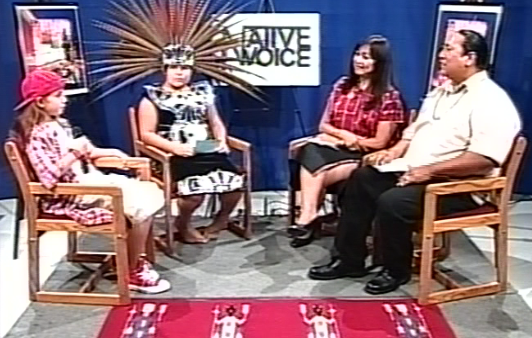 Cihuapilli Rose Amador LeBeau interviews Jack Hyatt (Cherokee) & Chipactzin David Romero (Apache/Mexica) on Native Voice TV. 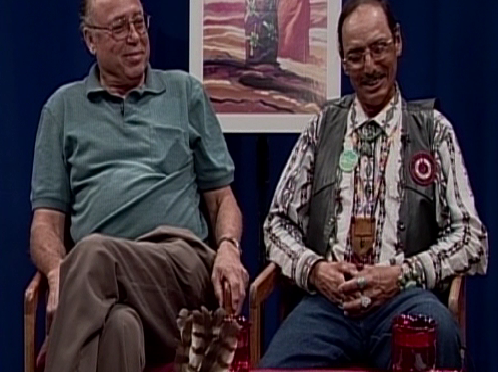 Hyatt and Romero speak about the 30 year old history of how ‘Indian Time Radio‘ came to existence and ‘Native Ways’ on KKUP 91.5 FM in San Jose, California. They speak of those who used ‘Trickery’ to get them to become hosts on radio and Hyatt’s vision of getting NVTV to be viewed across ‘Native America’. 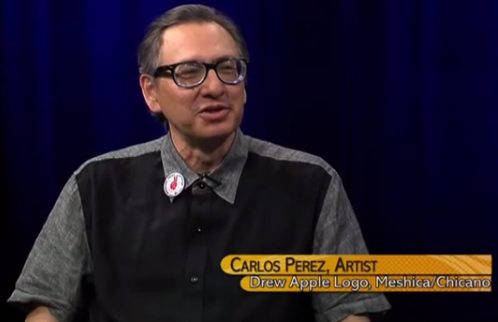 Cihuapilli Rose Amador LeBeau and Craig Pasqua interviews Ray Baeza Techicuauhtli (Mexíca/Taíno) on Native Voice TV. 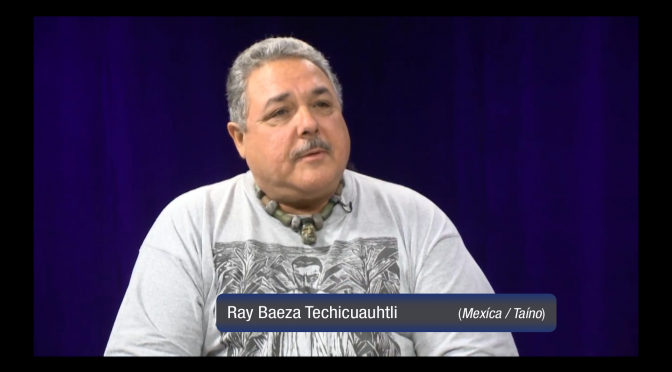 This interview begins with ethnology of Taíno and Mexíca, cultural genocide, revitalizing tribal language hence leading to cultural ceremonies, most spoken language – ‘Nahuatl’; and ends with a detail explanation of the ‘Azteca/Mexíca’ New Year. Trinidad and Araiza are youths, ages 10 and 11, respectively. They are now 19 and 20 years of age. Trinidad is a dancer and poet. 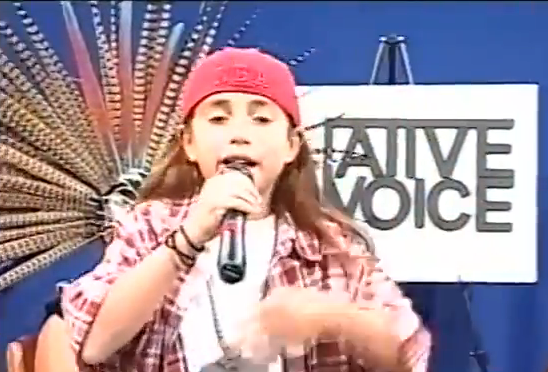 Araiza a music performer, ‘Wrapper‘ and his stage name, ‘MG Underdog‘. Trinidad recites one of her poems inspired to honor her culture and people. MG Underdog performs three songs, ‘It’s a Family Thing’, ‘Money’ and ‘Thank you‘.